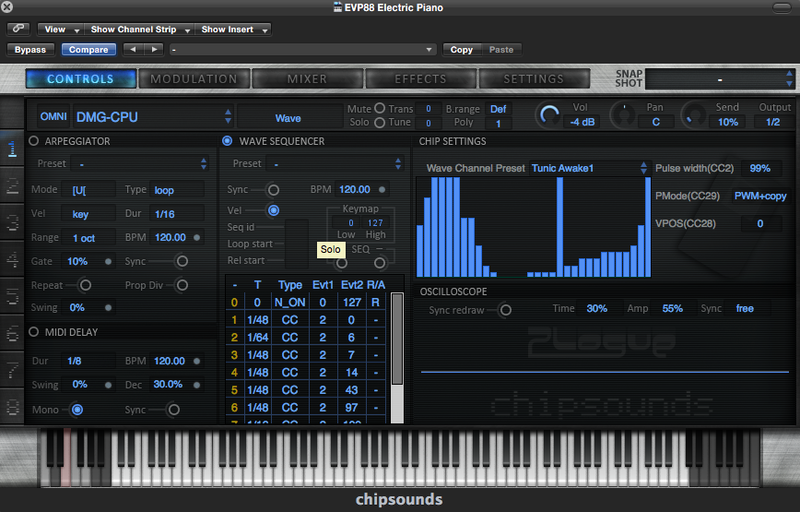 A while ago I had some requests for how to use the DMG wave table in Plogue Chipsounds. I just finally got around to putting it together. Although its hard to get the exact same sounds you can get in LsDj when it comes to using the wave channel, you can get a pretty good approximation. 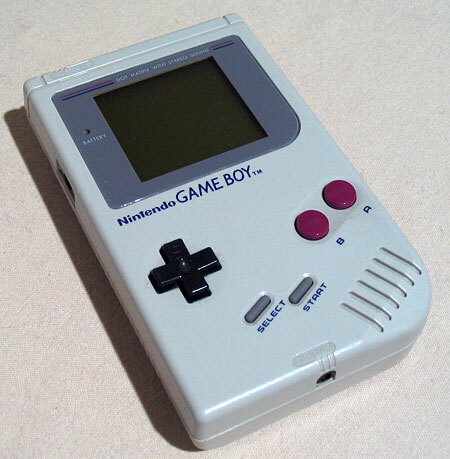 Many of the cool sounds you get out of LsDj come from the start and end point and speed settings for filtering. These help you get those “blarg” (that’s what I call them) sounds and some of the really noisy, buzzy Gameboy sounds that have come to define its sound. Chipsounds doesn’t have the start/end/speed setup like LsDj but you can get the same effect using the wave sequencer. Here’s a few settings to get you started. If you haven’t learned the wave table in Chipsounds, read this first. Select the DMG-CPU preset and the Wave channel of course. Pick a Wave Channel preset to start with. We will customize it later. PWM – A more subtle pulse modulation effect. PWM+Copy – This causes the distorted “blarg” sound and is the most in-your-face modulation. Modulo – More subtle, almost gives you an Atari SID sound. Seek – Turns the modulation into an arpeggio-like effect. Trunc – Another subtle effect. The next step is to build a Wave sequencer table that turns the PWM ratio up or down. This is CC2, as you can see in the photo, you can increase it in small steps with a very fast speed to get some smooth sounds. Youc an also use CC29 to change the Pmode mid-table as well as VPOS (CC28) to further change the effect. A very flat wave shape. Wave table increases the PWM Ration by 5 in 1/96th increments. Jagged Lead – Often hear in Chipocrite and Bit Shifter’s stuff. Wave Shape is rather jagged and odd. PWM Ratio moves up and down mostly in 1/48th increments. You can turn on looping for a real fun sound with this one. Trashy Bass – this is a very distorted and fun one. CC28 VPos starts at 1 and PWM Ratio climbs, VPOS jumps to 127 after a few increments increasing the distorted sound and giving it a slower attack feeling. Squirt – A real subtle one I like. Same as Trashy but using modulo instead of PWM+Copy for the PMode. A bouncy fun Atari-like sound. Hope that helps. Just experiment from here and you can get some really epic sounds out of this module. GET THE FREE CHESSLIKE OST TODAY! Listen to the best of BestScribe! Pledge Your Support for The Office Lego Play Set!